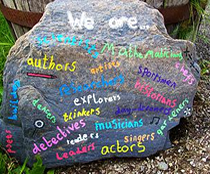 Kilchrenan Primary School is a non denominational school serving the communities of Dalavich, Avich, Inverinan and Kilchrenan. The school has two classroom spaces and small library. 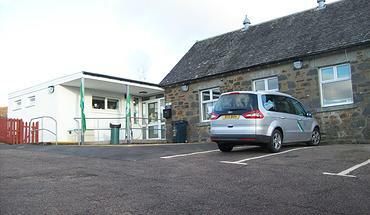 Physical Education is held in the nearby village hall, and we have the use of the community pitch next to the school. We are engaged in EcoSchools, and we make good use of our local environment for our outdoor learning experiences. Our local nursery is within Taynuilt Primary, with whom we have close links and transition liaison. We host regular sessions for pre-schoolers who attend with their parents. On leaving primary 7, pupils go to Oban High School. We are an open school! The present school building, which is over 135 years old, was built in 1878 to save pupils from a “ruinous” school house in which twelve pupils were “huddled together in a corner up to their ankles in mud”. We still like playing in mud though!